Car accidents can result in catastrophic injuries and death. Families hit with such tragedies typically expect insurance companies to cover medical bills, pain and suffering, lost wages, and other costs. Unfortunately, insurance companies too often refuse to provide the compensation deserved. The lawyers of Harris Lowry Manton LLP have the knowledge and experience to communicate between your insurance companies, assist with getting you a rental car, help you find a rehabilitation center when applicable, and hold the negligent parties accountable for your injuries. If you or a family member was injured in a motor vehicle collision, contact the experienced Atlanta auto accident lawyers of HLM to discuss the merits of your case. I have been hit by a car. What do I do? Call the local police or 911. You want them on the scene as quickly as possible, and you will need a police report if you want to file a personal injury claim or lawsuit later. Call for an ambulance, or request an ambulance from the 911 dispatcher, if you or any of your passengers are hurt. If it is safe, move your car to the side of the road and out of the way of traffic. Call your insurance company and report the collision. Do not admit to fault or apologize. Simply report the truth about what happened, and then politely hang up. Get the contact and insurance information from the other party involved in the collision. Take photos of the car, the scene of the accident, yourself, and any passengers in the car. If you opt not to call for an ambulance, make sure to visit your doctor as soon as possible; within two weeks of the accident is best. Sometimes, the full extent of your injuries may not be immediately apparent after the collision, and you want to ensure that you are checked out by a medical professional. Furthermore, your medical records will play an important role when you seek damages. We know that over the last few years, Georgia’s car insurance premiums have skyrocketed; it had the greatest increase in the nation in 2016. These increases may have led to people carrying only the bare-minimum of insurance – especially when it comes to uninsured motorist, or UM, coverage. The laws do not require you to carry uninsured motorist coverage, but we would strongly encourage you to purchase it anyway, if it is within your means. If you are hit by an uninsured or underinsured driver, UM insurance will help you pay for your medical bills and/or property damage. Make sure, however, that you purchase an “add on” policy, not a “reduced” policy. Add-on policies allow you to add however much coverage you purchased to another driver’s policy (provided that driver has insurance at all). A reduced rate policy, however, subtracts what the driver has from your own coverage, which reduces the amount of money you may be able to collect. If your loved one dies in a fatal car accident, we can help you file a survival action or wrongful death claim. Our knowledgeable Atlanta injury lawyers understand the various complexities of these cases and have the experience to successfully handle them. 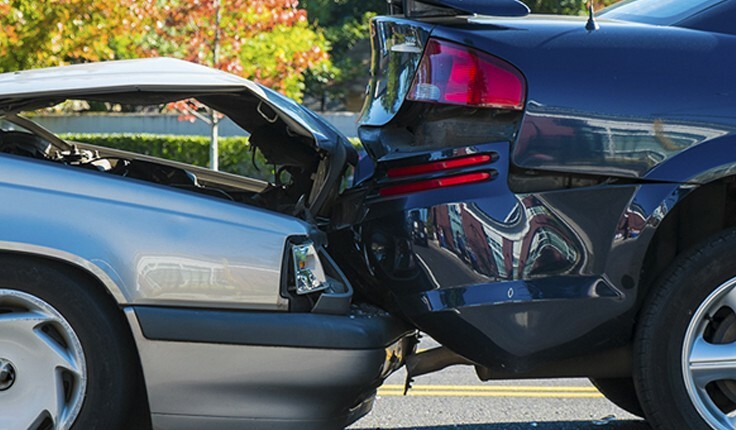 If you have been involved in a car accident, you deserve to be compensated by the responsible parties. With the help of the experienced Atlanta car wreck attorneys of HLM, you may be able to secure the appropriate damages. After a car accident, call our Atlanta office at 404-998-8847 or our Savannah office at 912-417-3774 to schedule a free consultation. You can also complete our contact form.